With that said, let’s analyze how some companies including Apple Inc. (NASDAQ:AAPL), Tesla Inc. (NASDAQ:TSLA), The Boeing Company (NYSE:BA), Starbucks Corporation (NASDAQ:SBUX), and Archer-Daniels-Midland Company (NYSE:ADM) might benefit if the trade war ends and how some elite funds are positioned. Apple could be a winner as a continuation of the trade war might have made iPhones more expensive in America due to tariffs on Chinese iPhone imports. Apple also wins from a truce in that the Chinese government is less likely to retaliate against it if the trade war gets worse. China is a big market for Apple and any retaliation would be bad for the bottom line. 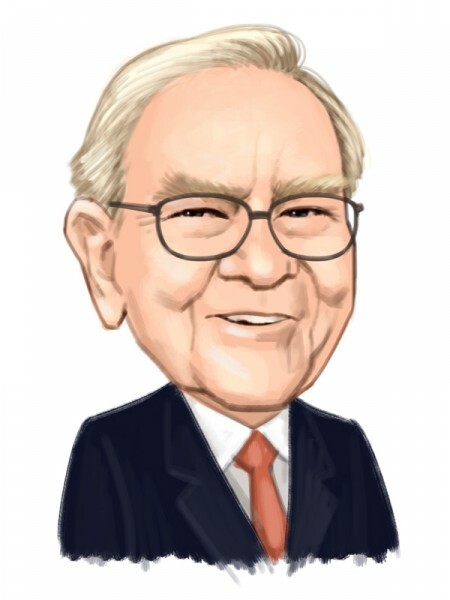 Warren Buffett’s Berkshire Hathaway owned around 249.5 million shares at the end of Q4, down 3 million shares. The trimming reportedly wasn’t Warren Buffett’s idea however. Boeing could be a winner as it could potentially sell more airplanes to China. Although there is no guarantee that China will buy more American planes from a settlement, one way to narrow the trade gap is to buy big ticket items. Boeing is currently in crisis mode due to two Boeing 737 Max plane crashes within the last year. Although the company could potentially fix the problem with software and many airlines are still ordering the plane, Boeing could use any sort of lift from increased China demand. John Overdeck And David Siegel’s Two Sigma Advisors raised its stake by 34% to just under 1 million shares at the end of December. Archer Daniels Midland could be a winner as American farmers will likely benefit from any sort of commodity tariff lowering on China’s part. Archer Daniels Midland is a big food processes and commodities trading company. Cliff Asness’ AQR Capital Management owned over 3.2 million shares at the end of Q4. Tesla would benefit because it has a lot of intellectual property to protect. Tesla would also face less threat of Chinese government retaliation. Tesla previously got caught in the tariff battle due to increased Chinese tariffs and responded by accelerating the building of its Shanghai factory which hopefully will make around half a million vehicles per year in around five years. Many elite funds are short Tesla given its short float of around 20%. Starbucks could be another winner in that it would face less retaliation if the trade war worsened. Starbucks has big expansion plans in China and the chain needs the necessary local approvals to make those plans a reality. Bill Ackman’s Pershing Square established a new position of 11.75 million shares in Starbucks as of the end of December 2018. That position makes up 12.7% of Pershing Square’s equity 13f portfolio. Here’s What Hedge Funds Think About F5 Networks, Inc. (FFIV) Were Hedge Funds Right About Souring On News Corp (NWSA)? Is Aramark (ARMK) A Good Stock To Buy According To Hedge Funds? Here’s What Hedge Funds Think About PTC Inc (PTC) Is The Liberty SiriusXM Group (LSXMK) A Good Stock To Buy? Were Hedge Funds Right About Souring On Teck Resources Ltd (TECK)?